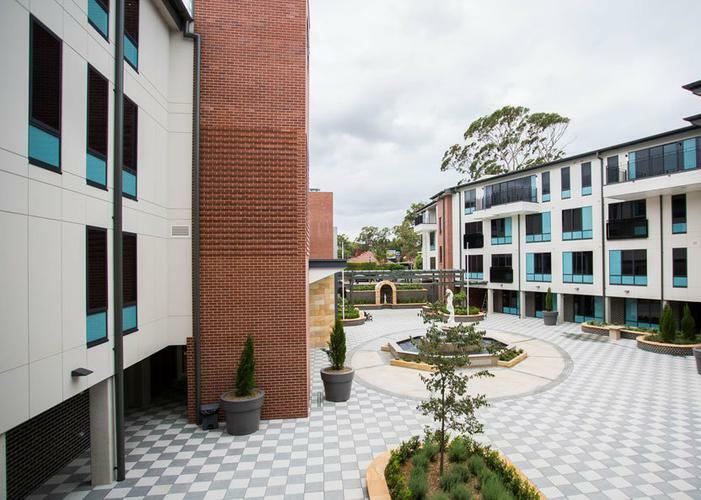 Innovative and alternative living arrangements for the nation’s growing population of people living with dementia have been a huge focus within the aged care industry over the past few years, and continues to be with the recent opening of The Village by provider Scalabrini. This new innovative inner Sydney residential aged care service is the most recent addition to the growing number of villages designed to help reduce the trauma for senior Australians living with dementia. The supportive design of The Village by Scalabrini, which allows senior Italian-Australian couples to remain together despite varying care needs, joins many other highly-praised concepts unveiled over the past few years - such as Group Homes Australia’s unique traditional home and street living, and the highly anticipated Dementia Village in the works for Tasmania. Federal Minister for Senior Australians and Aged Care, Ken Wyatt, officially opened The Village by Scalabrini, praising the way it delivers aged care to senior Italian-Australians. “Too often, older couples can be separated when one partner needs higher care because they have dementia,” Minister Wyatt explains. “Scalabrini has designed an aged care home that is truly homely, helping couples remain together and age in comfort and with dignity. The Village boasts a café, gelato bar and chapel, and sees residents maintain normal patterns of life, with groups of 6 to 14 living in individual houses and taking part in a range of activities that meet their interests. It also encourages families, friends and neighbours to visit residents to keep them “engaged in the wider community”. He adds that a new Australian Bureau of Statistics report, released in the past week, showed that dementia remained the second leading cause of death in 2017, and also remains the leading cause of deaths among Australian women. “Supporting Australian families living with dementia is critical and has been a top priority for the Coalition Government since 2015,” the Minister continues. “Aged care homes like The Village play a critical role, providing a safe environment, with strong clinical backup and care, while supporting a healthy social life, too. “I am seeing great progress in the way aged care facilities tailor services, care and programs for our senior Australians no matter what their background, heritage or lifestyle. “Scalabrini has provided services to senior Italian-Australians for 50 years by creating an aged care environment that understands and respects the lives and cultural heritage of its residents."